Law enforcement careers span a broad range of specialties that includes investigative work and civil service at all levels. United States Secret Service, Federal Bureau of Investigation and countless local law enforcement agencies require steady streams of well-trained professionals to protect and serve. Preparatory education is drawn from university criminal justice programs, but other majors lead to law enforcement careers too. Psychology, accounting, sociology and other specialized degrees provide strong foundations for work in law enforcement. Earning certificates, associate’s and bachelor’s degrees, and advanced criminal justice credentials are academic pursuits that require higher education financing. Criminal justice and related majors qualify for large-scale federal financial aid and state-administered general education funds, but committed law enforcement hopefuls also enjoy access to career-specific funding set aside specifically for future defenders of personal liberty. A catch-all approach to law enforcement education funding looks at federal, state and local resources; especially industry associations, foundations, government agencies and campus-specific financial aid programs. Consider these diverse scholarship resources to illustrate the wide range of interested entities that contribute to law enforcement education. *The following program description is for historical reference only. Police officer recruitment efforts have slowed, so Police Corps Scholarships are on hold. The program may or may-not be funded again in the future. Interested applicants are encouraged to contact the U.S. Department of Justice for developing information. A federal program designed to reduce violent crime by increasing the number of skilled police officers working on community patrols across the United States, the Police Corps offers scholarships worth up to $3,750 per year to students who plan to earn their undergraduate degrees, complete Police Corps training, and then serve for at least four years in high need communities. Since Police Corps scholarships are renewable, students receive a maximum of $15,000 from this program, which may be used for tuition, fees, books, room, and board. Men and women of all ages, races, and economic backgrounds are encouraged to apply for the Police Corps Scholarship Program. Family income is not considered, but all applicants must be enrolled as full-time students. Community college students are eligible once they have been accepted into four-year college programs. 200 Word Essay – Why a Law Enforcement Career? National Association of Chiefs of Police puts forth a Disabled Police Officers Fund Educational Scholarship that supports higher education among members. Scholarships are worth $500 each, and are renewed for four years of college. Disabled officers and their sons and daughters are eligible to apply. Transcripts of current students, SAT/ACT scores, and a GPA of 2.0 are prerequisites. Criminal justice students planning to pursue law enforcement careers specializing in fraud awareness are eligible for the Ritchie-Jennings Memorial Scholarship from the Association of Certified Fraud Examiners. The generous program dispenses one $10,000, two $5000, four $2500 and 23 $1000 scholarships annually, to current full-time undergraduate and graduate students who demonstrate passion and aptitude for fraud-related fields like business, criminal justice, accounting and finance. Association of Certified Fraud Examiners (ACFE) awards require qualified candidates to submit completed applications, essays, transcripts, and letters of recommendation. In addition to Ritchie-Jennings Memorial Scholarships, students-members are eligible for ACFE Chapter Sponsored Scholarships. Female college students pursuing careers in federal law enforcement are eligible to apply for scholarships awarded by Women in Federal Law Enforcement, a professional organization dedicated to promoting gender equity within the field. Scholarships are valued at $2,000 each and may be renewed according to the organization’s future funding. 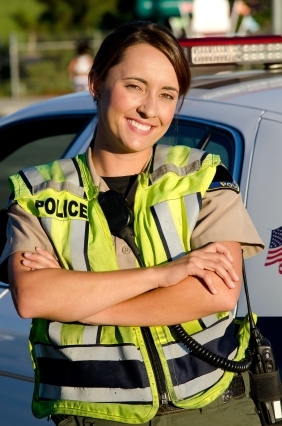 Women in Federal Law Enforcement Scholarships are awarded based on each applicant’s level of academic achievement, commitment to community service, and exhibited professional law enforcement potential. Full-time students majoring in criminal justice or related disciplines are encouraged to apply. One year of completed college coursework, an essay, transcripts, and letters of recommendation are prerequisites that must be satisfied alongside completed applications. Some WIFLE Scholarships are reserved for members in good standing. For additional gender-based scholarships rewarding women, consult our Women’s Scholarships Page. The National Organization of Black Law Enforcement Executives (NOBLE) is committed to increasing the number of African American law enforcement leaders. Black students who enter law enforcement educational programs are supported by national and regional NOBLE chapters across the United States. As part of the organization’s Community Outreach effort, several annual memorial scholarships are awarded to promising law enforcement students of African descent. Additional financial resources for African Americans are outlined on this Minority Scholarships Page. Loyola provides oportunities for local law enforcement officials to earn college degrees that strengthen their ability to serve the New Orleans community. Officers employed by regional police and sheriff’s departments receive reduced tuition rates at Loyola, provided they are enrolled in pursuit of their first bachelor’s degrees and studying fields related to criminal justice. Loyola Department of Criminal Justice maintains up-to-date information about this program that bolsters the profession in Louisiana. Criminal Justice Department Scholarships are awarded based on academic merit and financial need. Graduate students, undergraduates and incoming freshmen are eligible to apply for department scholarships. The application is completed online, as part of the school’s ScholarX Application. Internships are also available through the department. Criminal justice and sociology majors at Idaho State are eligible for scholarships and internships administered by the College of Sociology, Social Work and Criminal Justice. Specialized programs include Law Enforcement and Female Corrections study tracks. Preference is given to candidates who are children of active law enforcement professionals, and to students who have officially declared academic majors in approved areas of law enforcement studies.